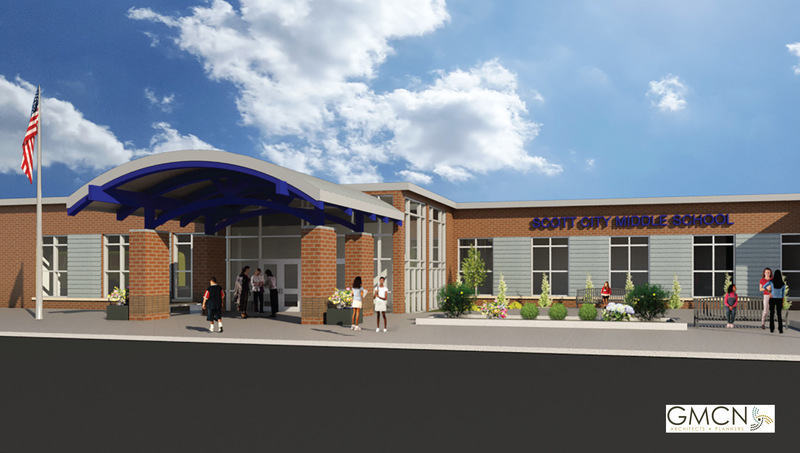 This week, following the recently completed sports complex and high school entrance upgrades, Scott County USD 466 began its extensive construction and renovation project at its middle school, which is so far coming in under budget. Hutton, a Garden City construction company satellite managing the project, already has begun clearing trees from the area and will begin preliminary construction within the next few days, after a groundbreaking ceremony last week, said Andy Fahrmeier, Hutton team leader in Garden City. Construction is expected to last through the end of next summer, and renovations of the existing middle school through the fall 2019 semester, he said.